“You better do something that will get you a good job,” Jeanne Hultquist’s parents told her. She narrowed her career options to being a doctor or an engineer and ultimately decided to go the engineering route. In the fall of 1978, with the help of the Pullman Foundation Scholarship, she pursued her mechanical engineering degree at the University of Illinois at Urbana-Champaign, graduating with honors. So, how did Jeanne go from the “E” to “T” in STEM? At some point along her college journey, she realized she didn’t like mechanical engineering. Before Jeanne put her cap and gown on for graduation, she was thinking about a new career. Without hesitation, Jeanne switched from engineering to business, and her risk paid off. She received her MBA from the University of Chicago in 1984 and moved to California’s Silicon Valley without knowing a single person. Shortly after arriving in California, Jeanne joined Apple as a marketing programs manager, technical markets in 1987, working to grow the company’s presence with businesses and their engineers. Her unique combination of technical skills and business knowledge made her perfect for the job; she understood what engineers did and how their businesses worked. As a people person, Jeanne enjoys the interactions of marketing the products she believes in more than designing and building them. 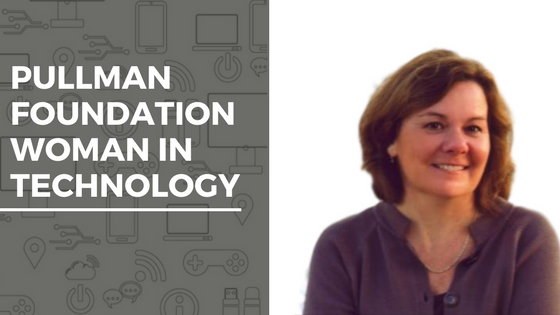 Her background in the technical field makes it easier for her to understand the evolving field of technology and have a better affinity with women technologists. Jeanne is currently the Vice President of Strategy, Marketing, and Alliances for the Anita Borg Institute, a non-profit organization founded on the belief that women are vital to building technology the world needs. Before joining the organization, she worked at other well-known consumer technology companies such as Plastic Logic and Speck Products. She may have switched from the “E” to “T” in STEM, but now Jeanne is helping the Anita Borg Institute celebrate the accomplishments of women technologists, and inspiring a new generation of them to pursue their dreams. Her choice to leave engineering led to her success in the technology field. But, she ultimately credits her success to being willing to take risks. “It was up to my work ethic. Up to my drive,” says Jeanne. “And, it was up to me to find my opportunities and to recognize doors opening. And, to always be open to them. Take those risks.” Now she’s helping young women technologists do the same. Learn how to receive a scholarship to attend the Anita Borg Institute’s 2017 Grace Hopper Celebration, one of the largest conferences for women technologists, here.